Access to restricted areas in the App. Ability to buy media content. Offer your readers special deals. View media content (i.e. video or eBooks) that was purchased on the Web. Upload user content and send feedbacks. A monthly subscription to view your VOD content. A consumable buy for a live PPV broadcast of a football game. The proper digital products in Apple and Google accounts. One or more data collections. Thus, digital media items that the reader needs to buy in order to view. Once a user makes a purchase in the App, the purchase is registered in Gaia Portal. The portal will keep track of all orders made by your users. 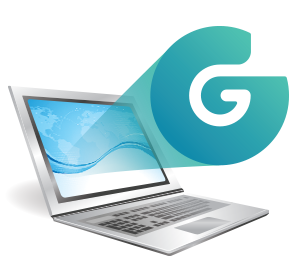 Using Gaia Mobile subscription management system, your users can buy on one platform (i.e. IOS iPhone) and view the purchased content on a different platform (i.e. Android tablet). You can also control how many devices can view thepurchased content at the same time. Coming soon: Using the Portal Dashboard, you can view the status of orders for given subscribers, extend or terminate the order and add new orders. All information is uploaded and stored in Gaia Portal. It is up to you how to use this content. For example, it can be used as a user content data feed in your app. Apps in Gaia Platform provide an ability to write a comment for articles and view other’s comments. Gaia Portal provides an approval process before comments are actually published.